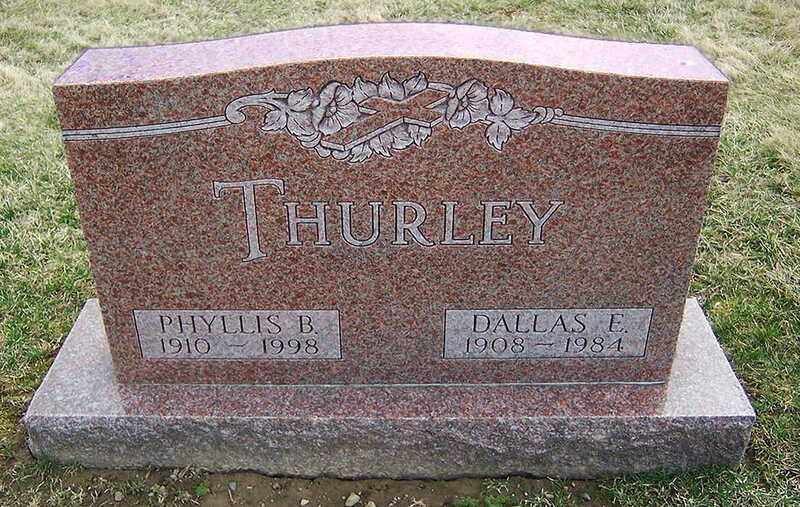 [GS] Gravestone of Dallas and Phyllis Thurley (nee Body). Death He died in October 1984 at age 76 in Geneva, Ontario, New York, United StatesBG. Birth Katherine Thurley was born in 1907 in New YorkBG. Birth Helen Adaline Thurley was born in 1911 in New YorkBG. Death She died in 1985 at age ~74 in Scottsville, Monroe, New YorkBG. Birth Frances Thurley was born on 31 October 1913 in New YorkBG. Death She died on 21 January 1998 at age 84 in Rush, Monroe, New York, United States of AmericaBG. Birth Donald J Merritt was born on 10 March 1936 in New YorkBG. Death He died on 15 July 1991 at age 55 in New YorkBG. Birth George Francis Merritt Snr was born on 26 October 1910 in New YorkBG. Death He died in 1985 at age ~75 in New YorkBG. Birth Jacob Thurley was born on 3 March 1772 in Berwick, York, Maine, USABG. Marriage He/she and Esther Ricker were married on 16 February 1812 in Waterboro, York, Maine, USABG. Burial He/she was buried in 1846 in Moultonville, Carroll, New Hampshire, United States of AmericaBG. Birth Esther Ricker was born on 4 May 1786 in Waterboro, York, Maine, USABG. Marriage Jacob Thurley and she were married on 16 February 1812 in Waterboro, York, Maine, USABG. Death She died on 12 April 1868 at age 81 in Center Ossipee, Carroll, New Hampshire, USABG. Birth William Henry Thurley was born on 22 July 1816 in Maine, United StatesBG. Birth Stephen Thurley was born on 6 July 1822. Birth Charles F. Thurley was born on 7 December 1814. 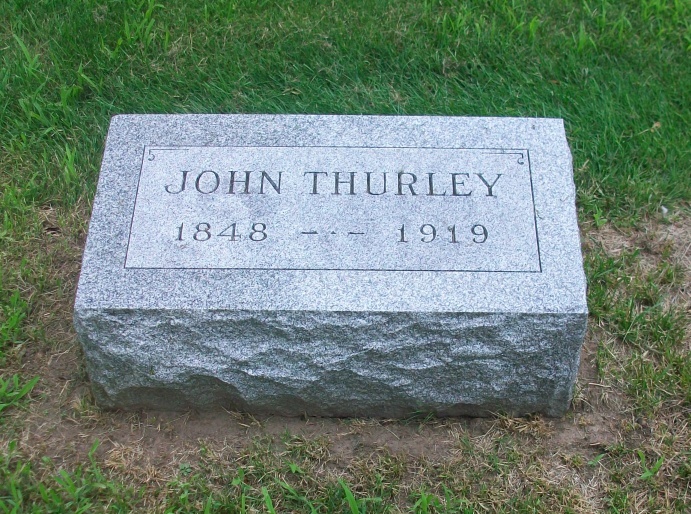 Birth John S Thurley was born on 4 November 1827 in Ossipee, Carroll, New Hampshire, USABG. Death He died in 1874 at age ~47. Birth Jacob Ambrose Thurley was born on 5 January 1829. Birth Benjamin Franklin Brownell was born on 13 December 1856 in Massachusetts, USABG. Death He died on 14 July 1940 at age 83 in Ossipee, Carroll, New Hampshire, USABG.